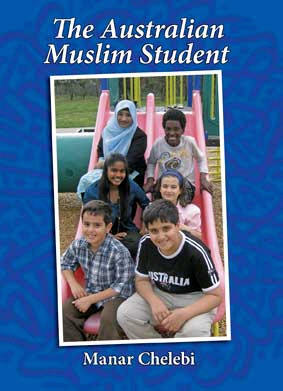 Muslim students are in Australian primary and secondary schools and tertiary establishments in significant numbers. However, despite much good will on the part of these institutions, students often experience cultural insensitivity or even hostility based on misinformation about their religion. This book is therefore extremely timely. Written for non-Muslims who work with young Muslims in educational settings, it gives a balanced, readable introduction to Islam, and examines the many things that Islam and Christianity have in common. It provides a history of Muslims in Australia and illustrates the great diversity that exists within the Australian Muslim community. It deconstructs certain myths and misconceptions about Islam, and documents the psychological and physical threats to which many Muslims were subjected in Australia after the events of September 11th, 2001. It also provides for educators a series of activities that may be used with non-Muslim students to develop their knowledge of Islam and Muslims and gives a recommended list of resources for educators. This information-packed book is highly recommended reading for all who work with Muslim students. Manar Chelebi has done Australian teachers, students and academic administrators a great service by providing this compendium of reliable information about Islam and Australian Muslim students ... I hope every teacher and educational administrator will read this book and reflect deeply on how they view the implications of what is said for the classroom, school and playground. Manar Chelebi is an acknowledged expert in this field. She presents workshops for Diversity Connect International on 'Understanding Australian Muslims and Islam' which have had outstanding responses. Manar lectures widely in the same field in many different forums. She also is the executive officer for the Australian Council for Islamic Education in schools. Provides a concise insight in to Islamic beliefs and practices. Outlines many of the similarities between two monotheistic faiths, Islam and Christianity. It dispels many myths about the parallels between these faiths. Gives a brief description about Muslims in Australia who arrived in Australia before Captain Cook. It discusses the settlement and contributions of Muslims to Australia, institutions set up by Muslims and brief introductions to Australian Muslims. Is filled with myth busters that dispel common myths in Australia about Islam and Muslims. It covers the most controversial topics from jihad, to terrorism to the status of women in Islam. A journey in to the lives of ordinary Australian Muslims after the terrorist attacks in New York on September 11, 2001. Is a useful guide for educators who teach Muslim students. It discusses some of the challenges faced by students and provides some practical solutions to these issues. A variety of stimulating activities for primary students covering all subject areas, including greeting cards for Islamic celebrations. Provides a variety of stimulating activities for secondary students that cover all subject areas.